These Original Beans buttons have been long, long awaited here at Cocoa Runners. 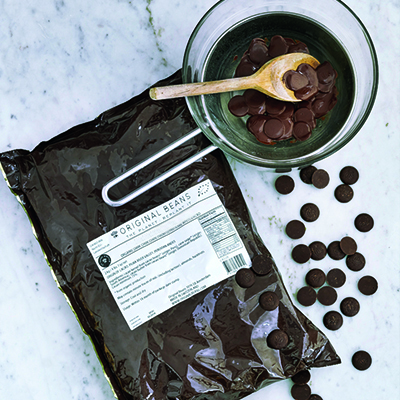 While we love the full size bars, these bitesize treats are ideal for baking and making single estate drinking chocolate form this incredibly indulgent dark chocolate. The shape of chocolate truly effects its taste, due to the changing way it melts in your mouth. So not only are these buttons ideal for baking, when eaten they allow you to experience one of Original Beans most popular bars in a completely different way. 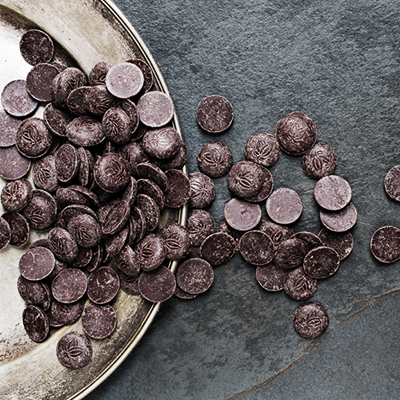 Allowing a button (or two) to melt on your tongue intensifies the beautiful chocolatey flavour of Cru Virunga. Although a dark 70%, these buttons are incredibly moreish and have enough natural sweetness to make a perfectly luxurious bite.